Lincoln Park, Michigan is a beautiful place to live or to visit. The area has many charming places to check out. Whether you are there to check out a museum or are taking a tour of the Superior Lakes Vineyard Tour, a toothache is a hassle no one wants to deal with. Toothaches though are a sign that you could have a serious issue that is vital to be treated right away. There are many dentists and specialist in the Lincoln Park are to help during this time. Emergencydentistsusa.com has worked to compile a list of dentists in Lincoln Park area. All that is left for you to do is go over the list, select the dentist that best fits your needs, and give them a call to set up an appointment. If you are in a hurry or just want more help, give our toll-free dentist finder hotline a call. Our team members are specially trained to listen to your needs and help you determine with dentists is best suited to your needs. We go through all the available options near you and let you know their hours of operation and specialities. From there, all you have left to do is choose a dentist and we can call and schedule your appointment for you. We highly recommend that you are at least 15 minutes early to your appointment to fill out necessary paperwork. You should be sure to bring along your ID, insurance information, and a form of payment. It is helpful to have a list of current medications you take and any allergies that you have. Being new to the area, you may be concerned what your options might be when it comes to dentists and dental specialists. Lincoln Park has many choices in both areas for you. Before you call and set an appointment with a specialist, consult with your general dentist to determine the extent of your dental emergency. They can determine if you need to see a specialist and will refer you if you need to see one. 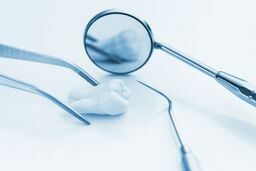 Description: Downriver Dental Associates offer compassionate care, modern technology, with exceptional results. The office offers a wide variety of services in both general and cosmetic dentistry such as bonding, crowns, fillings, veneers, and more. The team works to maximize your insurance reimbursement and offers convenient financial options. Description: Great Expressions Dental Centers provides you with quality dental care at affordable prices for the entire family. A few of the services offered include general dental care, orthodontics, endodontics, oral surgery, pedodontics, and more. Most major insurance programs are accepted and there are payment options and financing available. Description: The Dental Clinic values you as a part of their extended family. The team is committed to making you comfortable. The Dental Clinic offers a variety of cosmetic and restorative treatments such as invisalign, veneers, crowns, bridges, periodontal, and more. The office accepts many insurance plans. Tooth pain that lasts for longer than an hour or two needs to be seen as soon as possible by an emergency dentist. If you can catch a problem early you may be able to prevent further complications down the road. If the pain you are experiencing is due to an accident, go first to the ER to rule out any further injuries. Take the time before you visit a new dentists to verify that their license and credentials are all active. This can be done by going to the Michigan Dental Association website and performing a search of the dentist’s name. If you don’t have access to the Internet, you can simply check with the receptionist at your first appointment and they’ll be able to show you this information.